Electronic precision Ski/Snowboard edge grinder for tuning side edges quickly and professionally. It gives edges a World Cup finish. Easy to use – Grinders simple to replace – Adjustable angle settings. 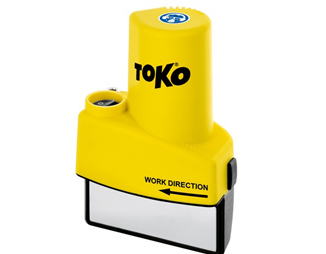 Toko - Officially distributed in UK by Solo Sports.